Here is the update on the garden. You can see May’s photos here. 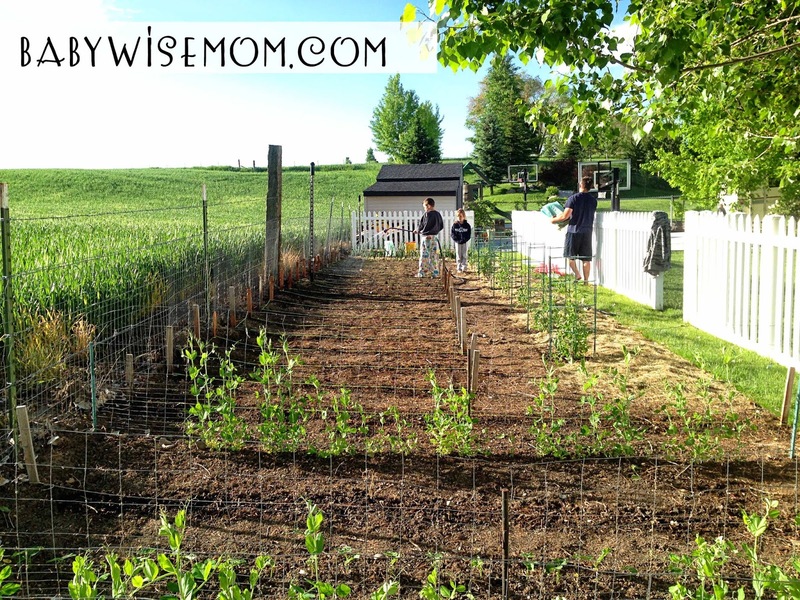 I gave a basic run down in how to grow peas here. 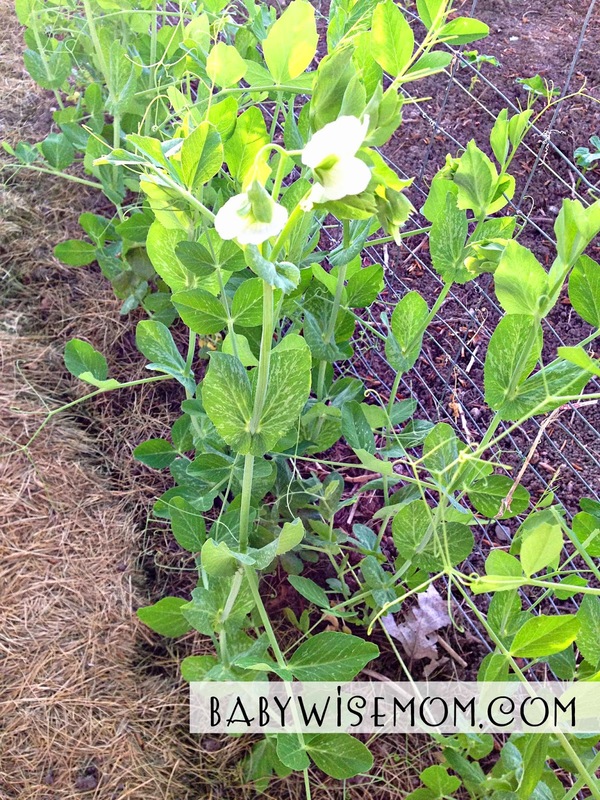 The peas are blossoming! We should be eating peas in a couple of weeks. Date: May 13 for row 1. May 31 for row 2. 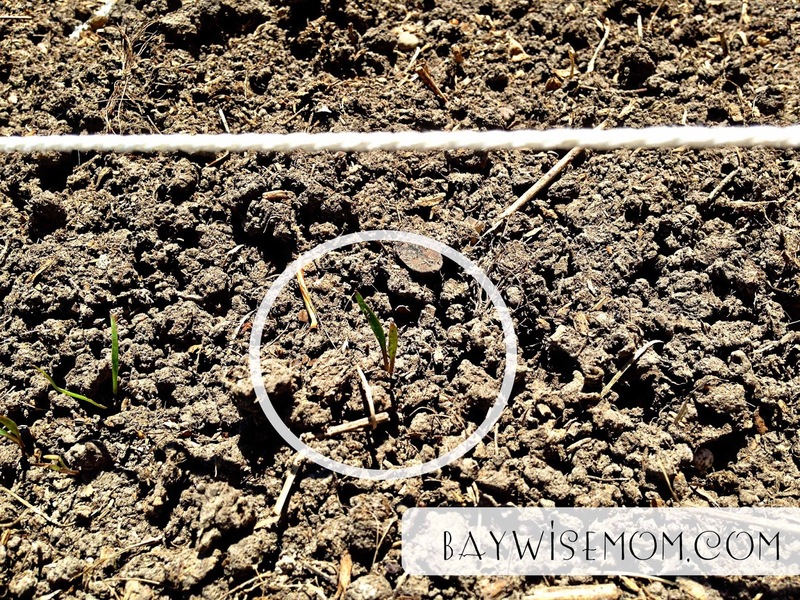 I gave the basic rundown of how to grow carrots here. 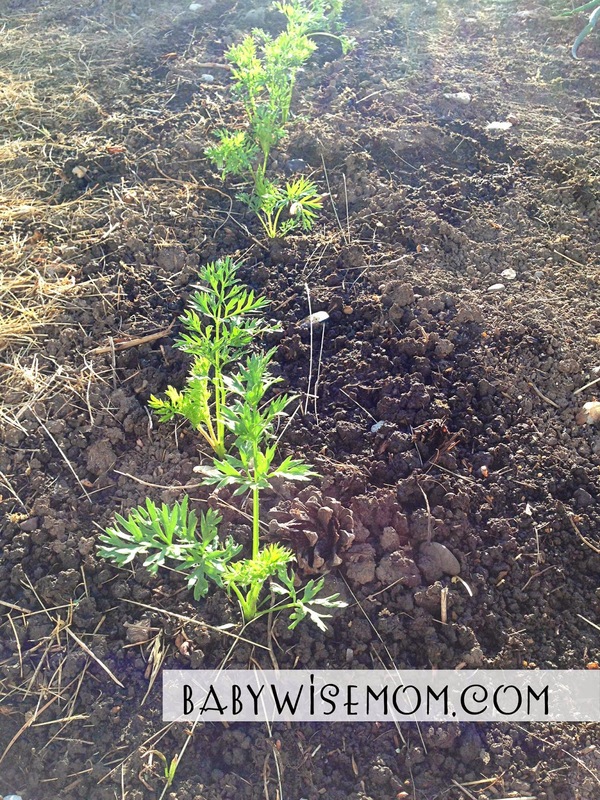 The carrots have been thinned and are growing well. They look more like real carrot tops now. We are planting a lot of corn this year. We plan to can it. 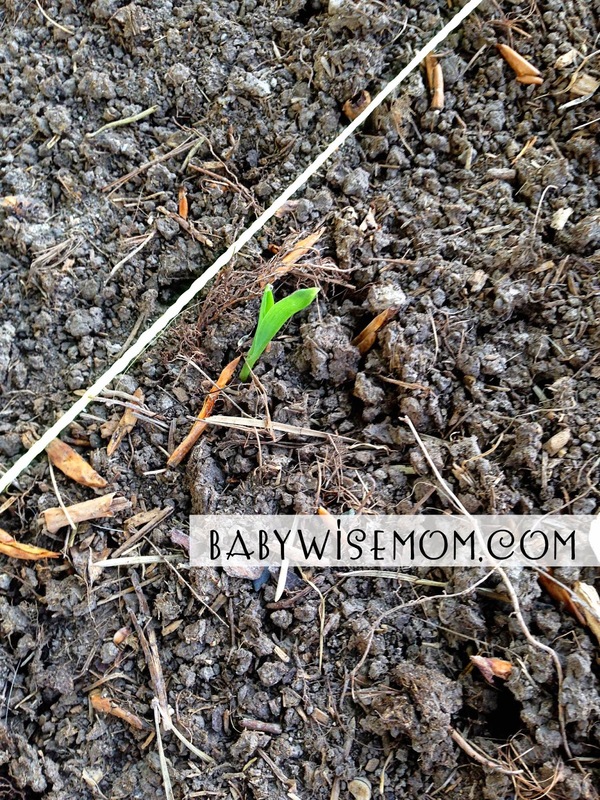 Here is the first blade of corn coming up. Date Planted: May 14, 2014 for row 1. May 31 for all remaining corn. 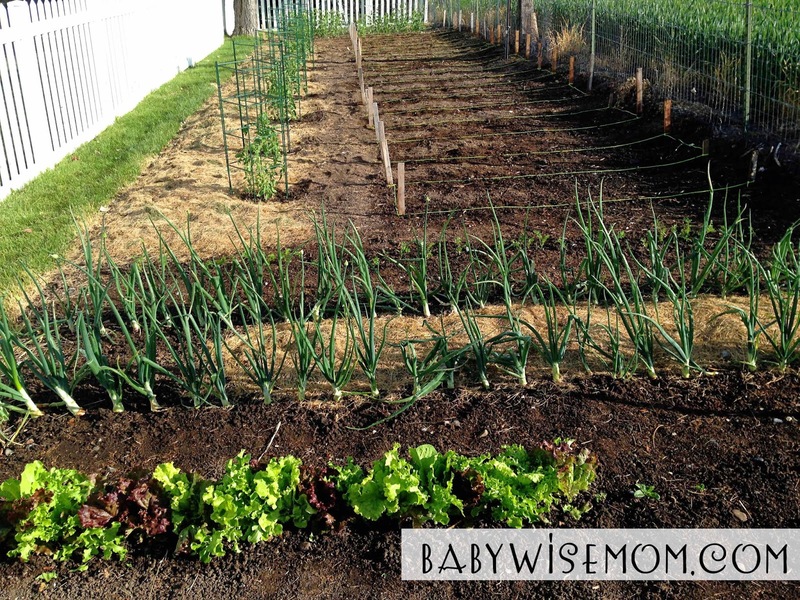 I gave the basic run down on how to grow lettuce here. 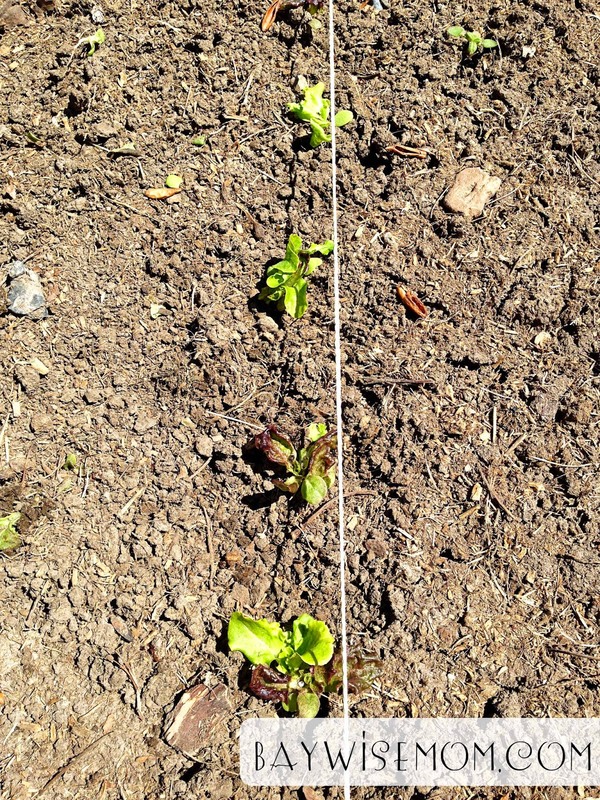 We have been eating lettuce like crazy. 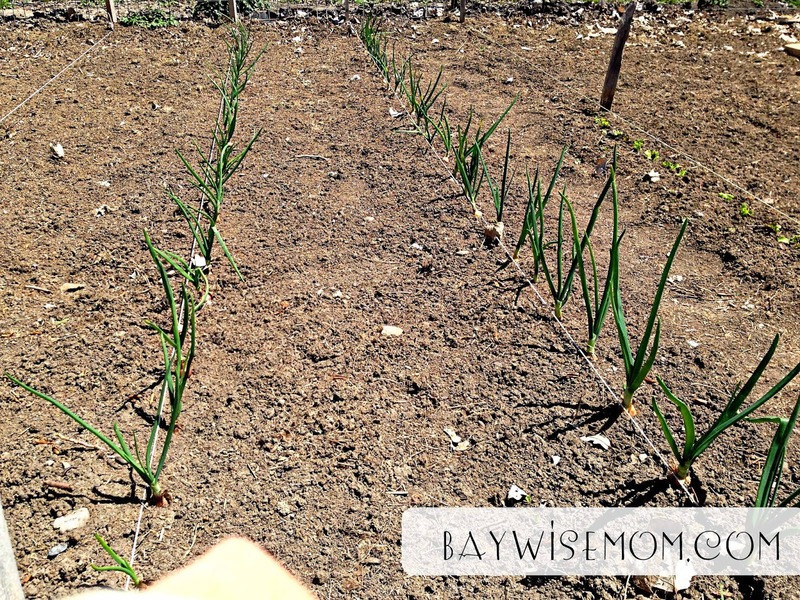 I gave the basic rundown of how to grow onions here. 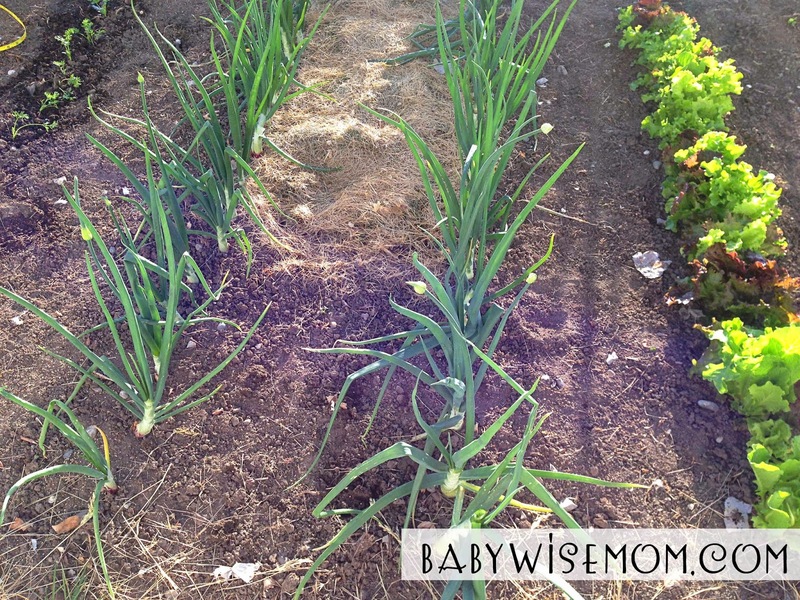 The onions are blossoming. Here are the peppers. 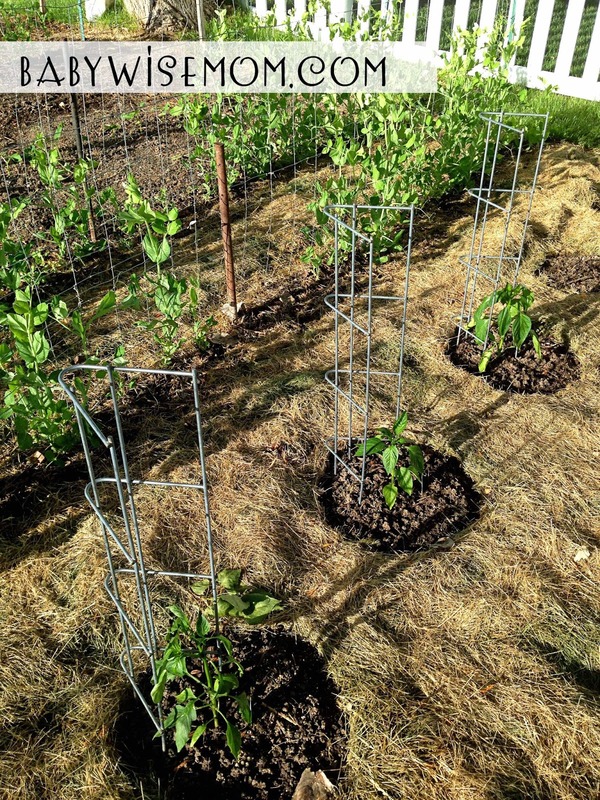 We have removed the wall-o-waters off of them and have put up the pepper supports. I find the supports are very helpful for preventing the plants from tipping over once they are full of fruit. 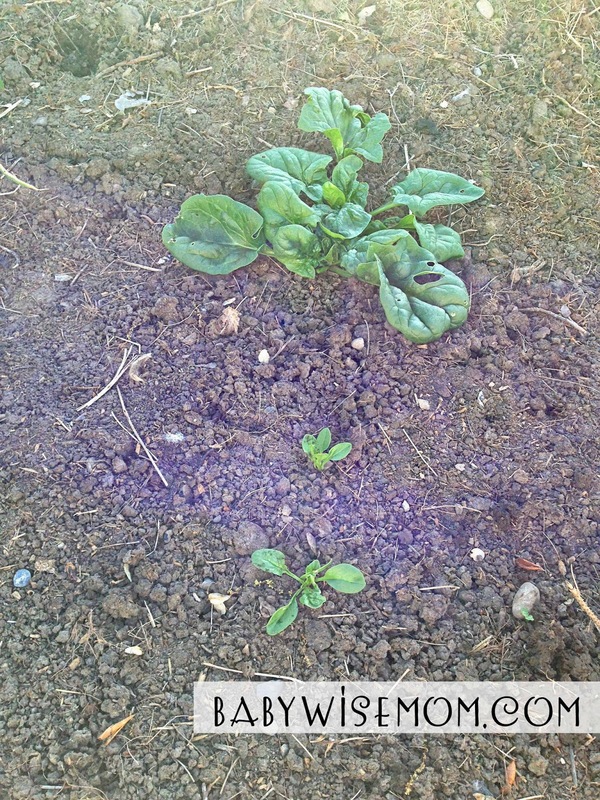 I gave the basic rundown on how to grow spinach here. You can see the bigger plant from my first planting and the smaller plants from my second. The date planted really makes a difference! May 2–the last time you saw it. 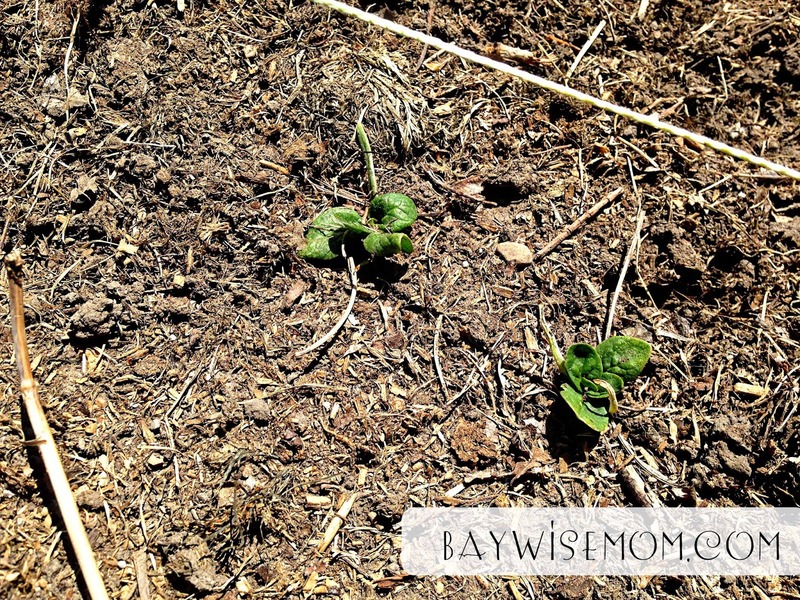 I planted 3 zucchini seeds. I have picked the other 2 and left this one to grown. One plant is more than enough for one family! More than enough for several families, really. I gave the basic rundown on how to grow tomatoes here. 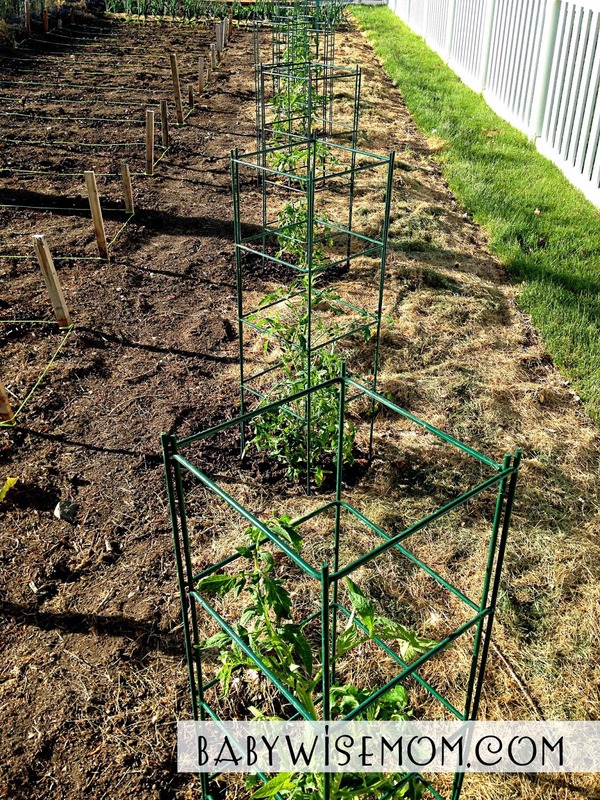 These are the tomatoes with their wall-o-waters off and the cages up. 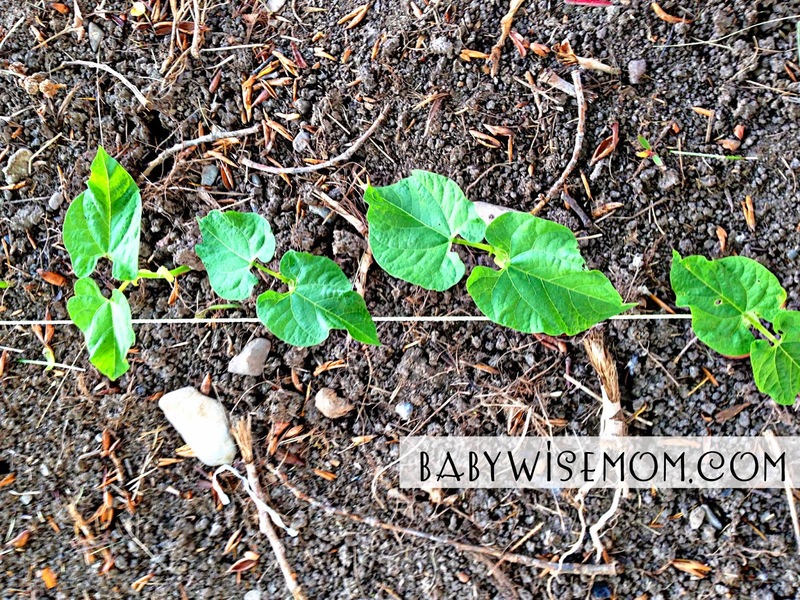 My Jack-be-little pumpkin seeds did not germinate. I will have to buy a start of the plant and plant that. I am not sure why it didn’t germinate. The seeds could be too old (they are as old as Kaitlyn) or they could have not gotten enough water. 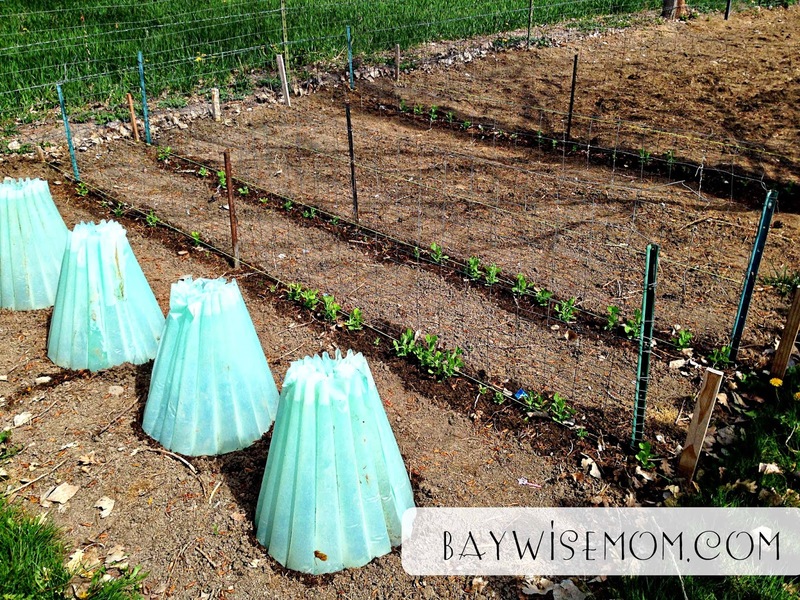 Once my seeds come up, I put down Preen and then we cover that with grass clippings. That is the mulch we use. Preen prevents weeds. 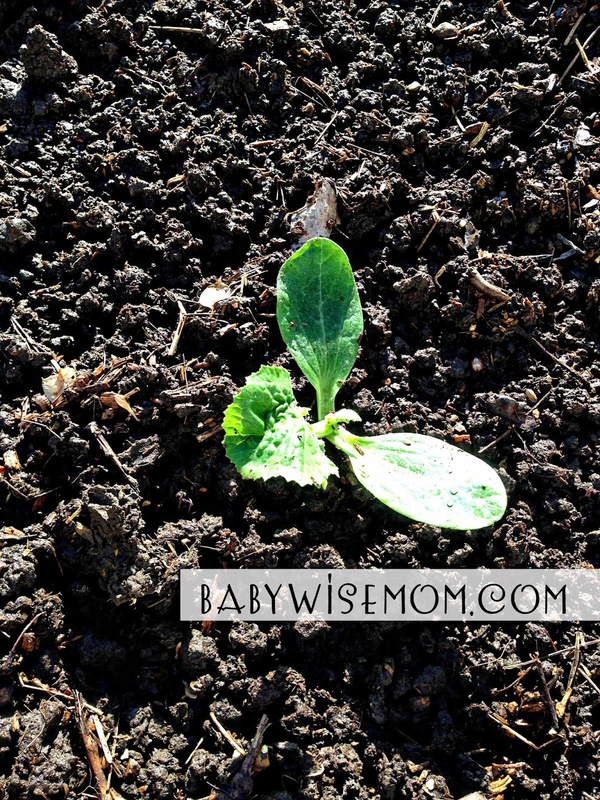 Mulch prevents weeds, keeps plants warm, and keeps the ground moist. There are places I don’t do grass. 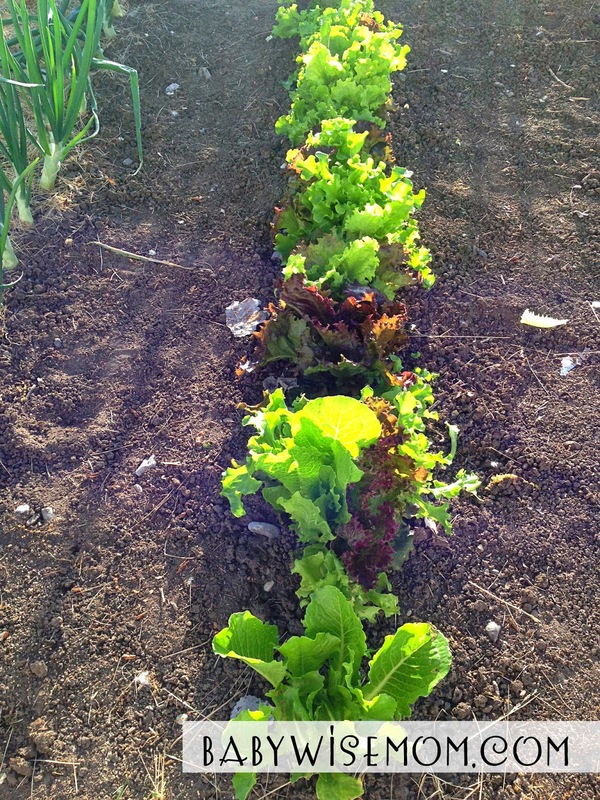 I don’t like it by my lettuce because more moist=slugs and slugs love to eat lettuce. I also don’t do it by my beans because the beans have this fine hair all over them and the grass sticks to it like crazy, making cleaning them before eating super, super time consuming. This is our first year not doing the mulch by the grass, so we will see how that goes.